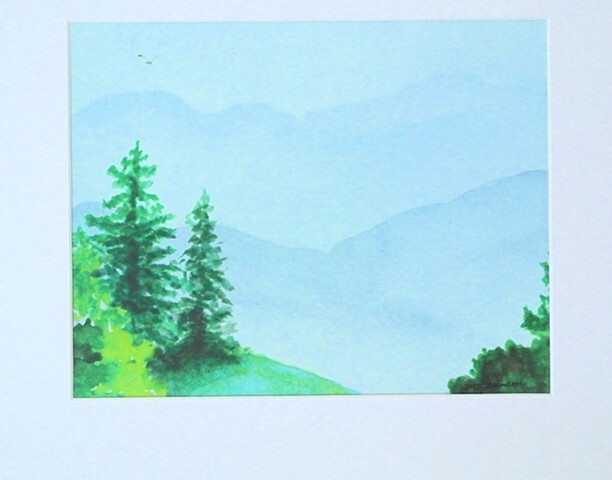 P-397 "Blue Ridge Vista," watercolor giclee print; white matte: 14"x11"; matte opening (print size): 9.5" x 7.5". Printed on the finest acid-free Velvet Fine Art Paper, using archival inks. 14 x 11 / 9.5 x 7.5 in.